ROAD TOWN , Tortola, VI – Among the long list of priorities for the National Democratic Party government as it relates to its governing of the affairs of the Virgin Islands are matters pertaining to gun related crimes, the status of children born in the Virgin Islands and moves to amend the Arbitration Act. This was brought to light by United Kingdom-appointed Governor of the Virgin Islands Mr William Boyd McCleary in his Speech from the Throne at the first sitting of the third session of the second House of Assembly this morning Monday October 7, 2013. In his address, Governor McCleary described the programmes set out as being ambitious but key areas to building a better Virgin Islands. On the other hand, Members of the Opposition Honourable Julian Fraser, RA, and Honourable Andrew A. Fahie both expressed the view that there was nothing of substance in the Governor’s Speech from the Throne which ushered in the First Sitting of the Third Session of the Second House of Assembly under the theme “Moving Forward Strategically”. “My Government will review sentencing guidelines for gun-related crimes. As such, during this session my Government will seek to amend the Firearms Ordinance (CAP. 126) to ensure mandatory sentencing for illegal use of firearms and ammunition,” announced Mr McCleary. Governor McCleary also stated that the time is ripe for the territory to strengthen its system of laws and policies that recognise children’s rights to special protection and care. “In this vein, a Maintenance of and Access to Children Bill will be introduced to enhance and protect the lives of children, by ensuring that they are properly provided for, and are able to maintain relationships with both their parents through appropriate access arrangements,” he noted. Following extensive community consultation, research, and examination of the territory’s human rights obligations, Governor McCleary said a ‘Status of Children Bill’ has been prepared, and will shortly be brought forward to remove the legal distinction between the status of children born in wedlock and those born outside of wedlock. He described this development as a landmark legislation that will finally bring to an end, the discriminatory practice of labeling children “illegitimate" and meting out unequal treatment to such children. A move is also in train to introduce a bill to amend the Arbitration Act (CAP. 6), one which is said will have the capacity to enable the territory to develop as an International Centre for Arbitration. Prior to this announcement, a credible source had told Virgin Islands News Online that the move at the Arbitration Act is well underway under the Ministry of Finance. A special committee has allegedly been put together and is being chaired by Dr J. S. Archibald, QC. Hon. Fraser also said that he had absolutely no knowledge about the intended move by government, as stated in the Speech from the Throne, about the move to amend the Arbitration Act. Solve the problem of lack of jobs, injustice, and lack of water first for Gawds sake ppl!!!!! 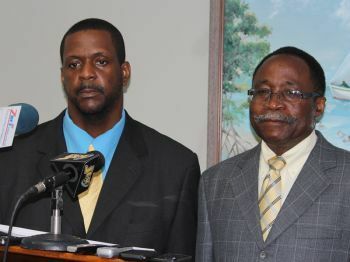 Little to late crime done spoil the BVI NDP is not for we!!! Just another day for the ladies to dress up in their hats to see how royal they could look. These are serious times, the U.S government shut down and we are not too far behind if we would do a serious reality check. How are they seriously addressing the economy. People going hungry. What about the education system. what about the improvement of services for the elderly. Apart from the Cruise Ship Dock and TPP, The Airport Expansion and Brandywine Bay Development isn't there any serious stuff to tackle? Another clear example that the NDP is out of touch for there is nowhere in the world where putting on longer and longer mandatory sentences for gun possession led to a reduction in gun crimes, NOT ONE PLACE ON EARTH!!!! Uh, How? There's no mention of How, just more unsubstantiated promises..